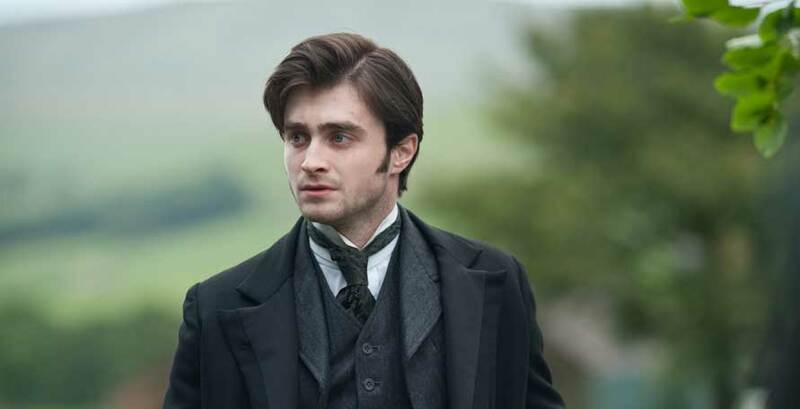 The Woman in Black movie is about Aurthur Kipps, a lawyer with a deceased wife and small son, who travels to the mysterious village of Cryphin Gifford. His employer sends him there as a last chance for Arthur to try and keep his job by finding documentation of an old, secluded mansion named Eel Marsh House. Eel Marsh House was previously owned by the late Mrs.Drablow. Aurthur befriends a village local who offers him a ride to the Gifford Arms Inn. When Arthur arrives, the Inn owner coldly insists that he did not receive a reservation and that there is no available room for him. The next morning, after being advised to leave the village while he could by Jerome, Arthur travels to the Eel Marsh House, which can only be reached at certain times of the day due to tides. After spending the day there, he sees some strange things, including a glimpse of a strange woman in black. Upon arrival back in the village after this strange sighting, deadly and tragic occurrences start happening in Cryphin Gifford to the village children. After some investigating he finds out that these tragic accidents are not a coincidence, but the revenge of a mourning ghost mother, who is known in the village as the Woman in Black. She had lost her child in the marsh and tries to seek revenge by taking away from everyone else what she could not have. Then Aurthur finds himself facing the full-on wrath of the vindictive Woman in Black. p.s. It's a first Daniel Radcliffe role after Harry Potter saga.